PLEASE NOTE THAT ROOM INFORMATION FOR ALL BOOKINGS IS FOUND ON THE RDP BOOKINGS OUTLOOK CALENDAR. WHEN YOU ENROL IN A SESSION YOU WILL RECEIVE AN OUTLOOK CALENDAR INVITE. please contact cmRwYm9va2luZ3MgfCBjYW50ZXJidXJ5ICEgYWMgISB1aw== if you do not receive an invitation. 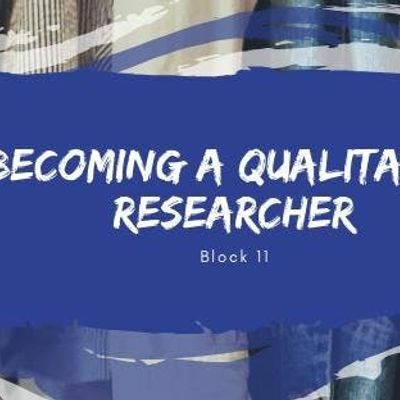 This course provides a basic introduction to the principles of qualitative research running through from first stages, to data collection, to analysis, to writing. This is a course which will need to be attended from beginning to end as each session will build on the previous one. *Please note researchers must commit to attending all sessions in this series as sessions continue on from one another. Please note that our sessions are available to Christ Church University staff and students only. 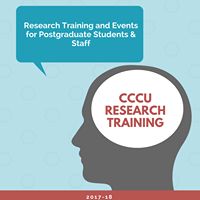 You must register for an event with a CCCU email account to attend.